One of the quickest ways to launch a start-up is to open an online store. Among too many eCommerce platforms it becomes difficult to choose the one which best fits to your business needs. Below are top 5 eCommerce platforms with their solutions for different business needs. The article was written based on reviews and personal experience. Shopify is in the first place of “Top 5 eCommerce Platforms” list taking into account its advantages over the other eCommerce platforms. It is the first most used online shopping cart, with the usage of over 400.000 online shops. It has easy set up and hosting. No matter if you are just getting started to launch an online shop or you already have your offline store, but want to continue your sells online, Shopify works great for both. It is easy to navigate with hand dashboard area, making it comfortable to add products, customize the look and more. It has the most complete control panels with all the necessary tasks from processing orders to managing inventory. Shopify has more than 100 professional and modern themes, 9 of them are free of charge. You are able to browse all themes by category, which helps you to find suitable template very easily. 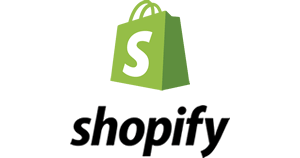 Shopify offers a large App Store with over 1400 available apps. These applications offer helpful tools for running a business, such as: accounting, inventory management, shipping, reporting, marketing and more. You can expand the feature set with the help of add-ons, and there are lots of add-ons offered by Shopify. Another advantage of Shopify is its speed and load time. With Shopify your website is very fast and has shorter load time. This advantage is very important especially in e-commerce where competition is very high. Security of the website is very important factor nowadays, and Shopify offers super secure sites. With Shopify you shouldn’t worry about hackings, because it handles security at a “global” level. Compared with other eCommerce platforms Shopify has the best customer support. It has 24/7 support system, with huge FAQ database, email/chat and phone support. Shopify is a hosted platform and with it you can build your online store within several minutes. It also has premium SEO tools, helping your business to stand ahead. Volusion is the second most used online shopping cart, with the usage of over 40.000 online shops. Its themes are quite expensive, compared to Sopify themes which have nicer looking actually. It has 359 not bad looking eCommerce focused themes from which 82 are for free. The wide range of templates is very helpful for choosing right one for your specific industry. Some of the templates are also mobile responsive, which is really great considering the increasing use of smartphones and tablets. It is easy to use with very capable online store. The good news is that it does not require programming skills. However if you are looking for easy use the Shopify is better. Unlike other ecommerce platforms it does not require transaction fees and does not charge any set up. Vousion has easy to use checkout process. You can integrate it with Paypal and with more than 35 different payment gateways, as well as with Amazon and eBay. It also has guest checkout options, which is another great plus of it. Having only 80 Apps (Shopify has 1400+), it covers some of the most important categories for online business such as marketing, accounting, shipping, consumer support, etc. 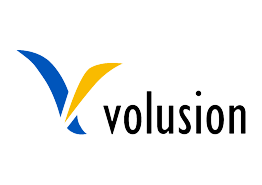 Volusion has wide price range for different user needs: Mini, Plus, Pro and Premium. It also offers a bulk discount for 10%. Magento is a professional system for online retailing. It is great for you if you want to run your store on your own server with the exact features you need. Magento is open source (build on Zend framework). This makes adding features, modifying or expanding platform extremely easy in the way you like. However it is complex and too big, so if you consider building your store on several hours, Magento cannot be a choice. Also it requires specific development skills. Magento has broad community of users, developers, and service providers. It is reach in features, templates, extensions and modules. It provides you with great SEO resources, and you have a complete control over SEO settings, meaning that you will get the maximum benefit from it. Magento has great product management system. You can upload thousand of products with a single import. It has good features for product comparison, ordering history, recently viewed products, etc. Being partner with NetSuite, Monsoon, QuickBooks, ShipStation, and ShipWorks Magento offers excellent order processing integration. Magento offers multiple pricing options, helping you to price items differently, when you integrate a pricing strategy for your online business. Magento has easy integration with 3td party services such as Google Analytics, Google Website Optimizer, Google Checkout and a variety of payment processing services. BigCommerce is a hosted platform that provides everything for your online business needs and very similar to Shopify however is more expensive, with only 7 free templates. It offers great guide to follow step by step while building your online shop. It puts huge focus on education, helping you to learn how to build your successful online business. Bigcommerce offers speed and security. It is not as fast as Shopify, however it is in competition. Bigcommerce has big theme store; however you will not be able to see any free themes before signing up to its 15 day trial. Bigcommerce has the cleanest dashboard and very clear build-in features, helping you to get your site ready in several minutes. Bigcommerce offers very practical and useful tools, such as email newsletter, coupons and promotion campaigns, etc., included on its monthly package. With Bigcommerce you can integrate your online shop with different social media channels, such as facebook. You can also integrate your store with eBay, Google Shopping, Shopzilla, Bizrate, Beso, Nextag, PriceGrabber, Shopping.com, etc. Bigcommerce offers a large app store, created by 3rd party developers. These apps have more advanced tools and some of them are free. Bigcommerce has easy design meaning that you can upgrade the default look without a professional help, and still have a nice looking website. Woocommerce is a WordPress plugin and is very popular Ecommerce platform with the wide range of use worldwide. It works only with WordPress. As Woocommerce works with WordPress, the knowledge of WordPress is important. If you are familiar with this platform the rest will go easy. There are no limitations for Woocommerce, because it has plenty of add-ons, which are continually being updated. It is one of the best WordPress plugins running perfectly with WooTheme, and is a very light application. Woocommerce has beautiful, mobile and responsive themes, which are less expensive than many cloud based services. Woocommerce base plugin is free, but unfortunately you need a premium extension if you want to take your business in higher level. You still get some important features for free, feature like mobile friendly design, sell digital and physical products, geo-location support, smooth purchasing, inventory management, shipping options, SEO, reviews, analytics integrated with Google Analytics. Want to learn more about eCommerce business? Here is the article for you. The Ultimate Guide to Abandoned Carts - Leave No Cart Behind!